I’ve had an unhealthy obsession with pink since my mother dressed me in a pink mother-care by-post onesie. Sure it can look cheap, sickly and predictable but no other shade comes close in terms of feel-good sugar high sweetness. I think these three Freetown ladies, all with very different pink pallettes, show us why Pretty in Pink Barbie is the best and the Pink Ladies were not called the Blue Ladies. Sarah embraces the colour of love in this playful ensemble that mixes several shades of delicious fuschia. 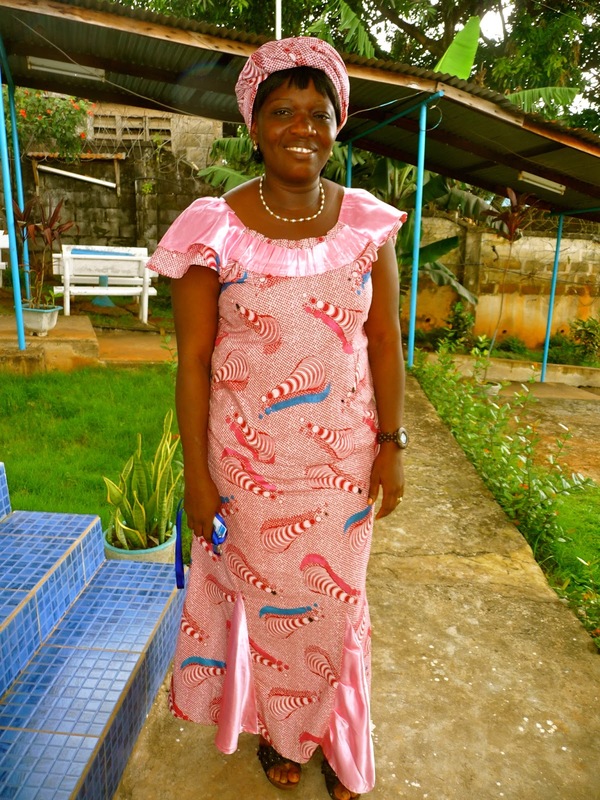 The headscarf is particularly eye catching and the plastic sandals bring it all so nicely together. 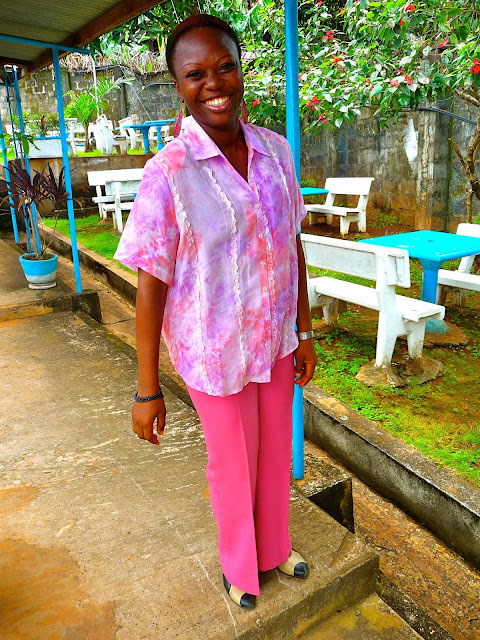 A crisp pair of pink slacks, pink shirt and a dazzling smile. Philipa’s style is unrivaled in my office. Except by Aunty Edith of course. ..and actually Christiana comes close as well. This Africana matchy is a gorgeous candy pink featuring some elegant sateen panels creating a flared effect around the hem matched by the frill around the neck.